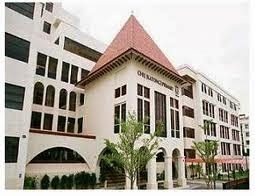 CHIJ (Katong) Primary School is located at 17, Martia Road in Singapore 424821. It is enclosed in the Joo Chiat Region. Joo Chiat is a residential conservation area situated at the eastern section of Singapore. It lies between Geylang Serai and Marina Parade Road. Nearest MRT is Kembangan MRT and the closest bus stop are Marina Parade Road (CHIJ Katong Convent Primary and Tao Nan School) and Still Road South (Aft Grand Hotel and Bef Grand Hotel). Amenities in the area include 112 Katong, katong Plaza, Roxy Square and Parkway parade. Other Schools nearby are Tan Nan School, NAFA Arts Kindergarten and Saint Patrick’s School.